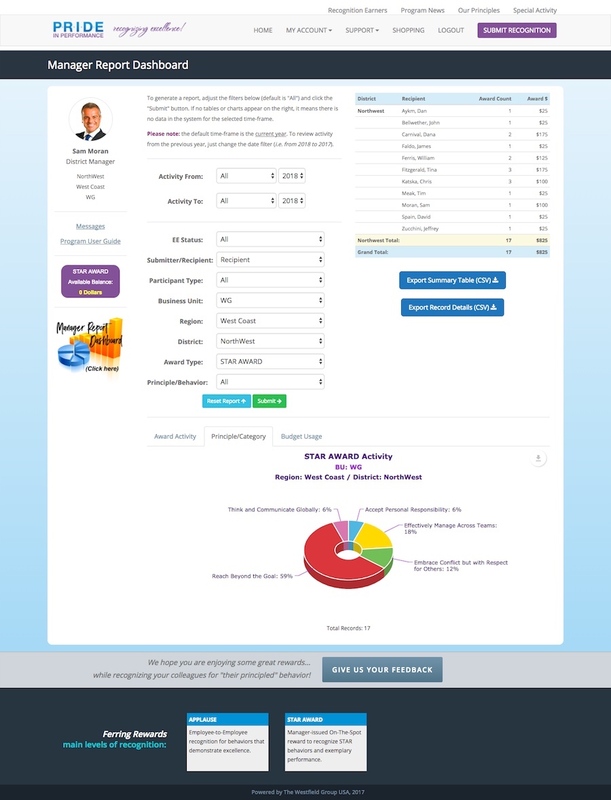 Advanced Incentives website for Westfield Groups client Ferring Pharmaceutical. 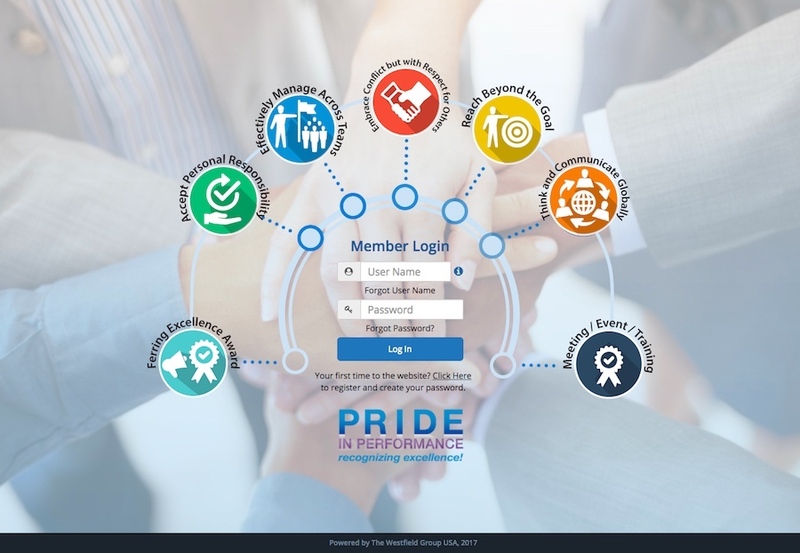 This website allows Ferring managers to offer real money value awards to Ferring employees and the award value is uploaded to their pre-paid visa cards. 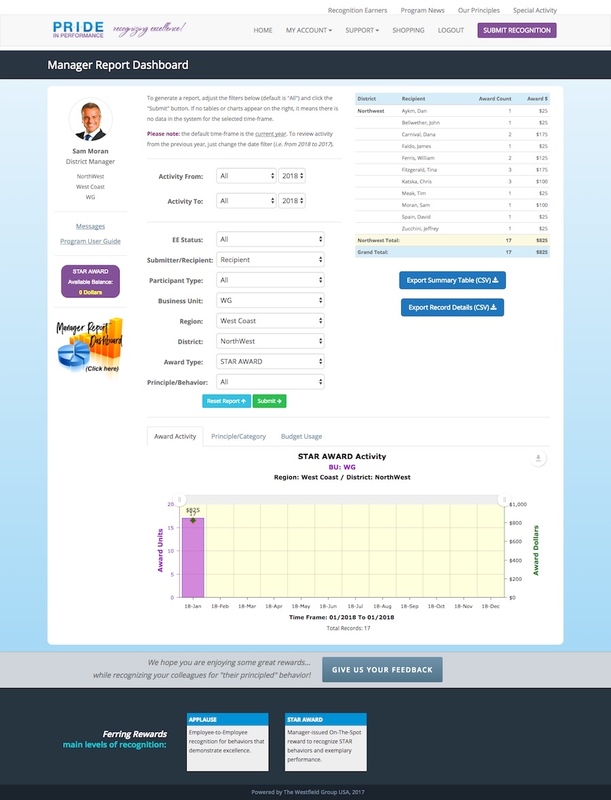 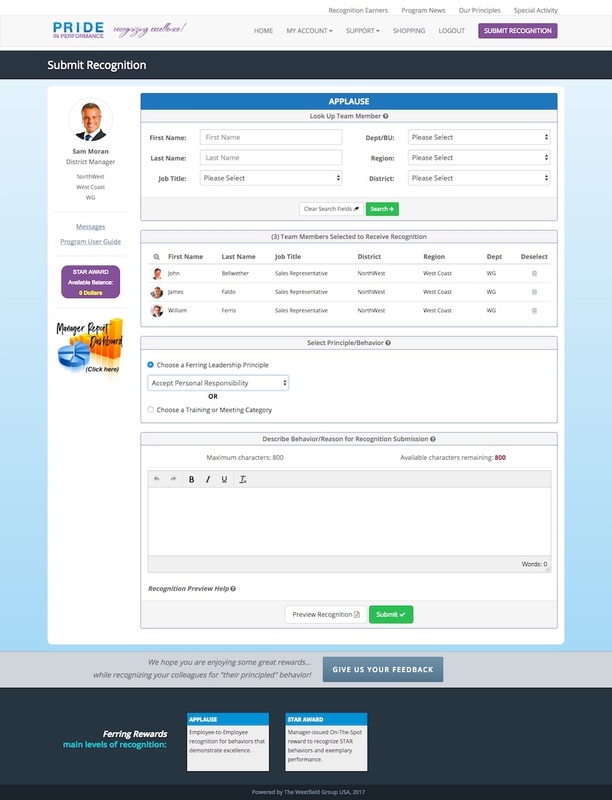 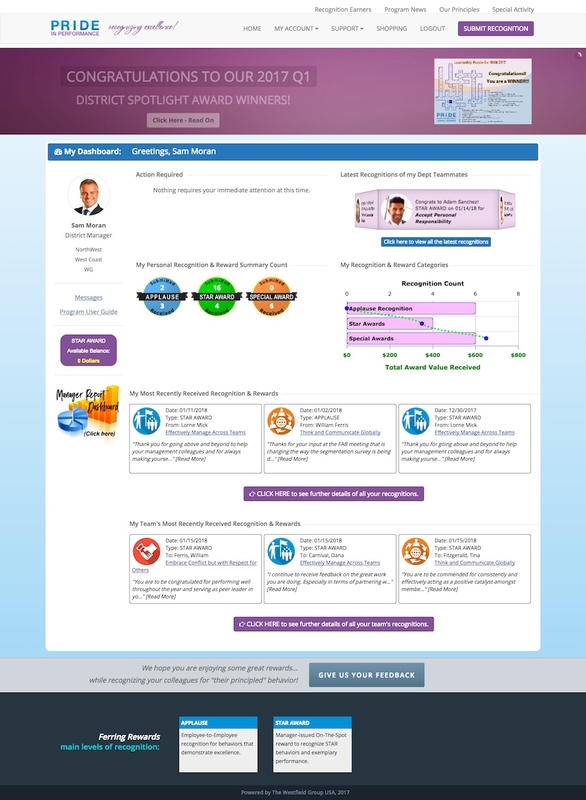 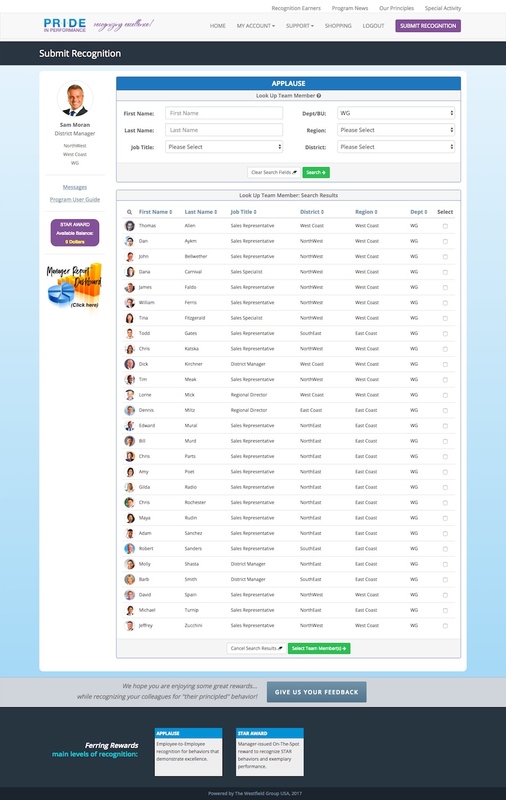 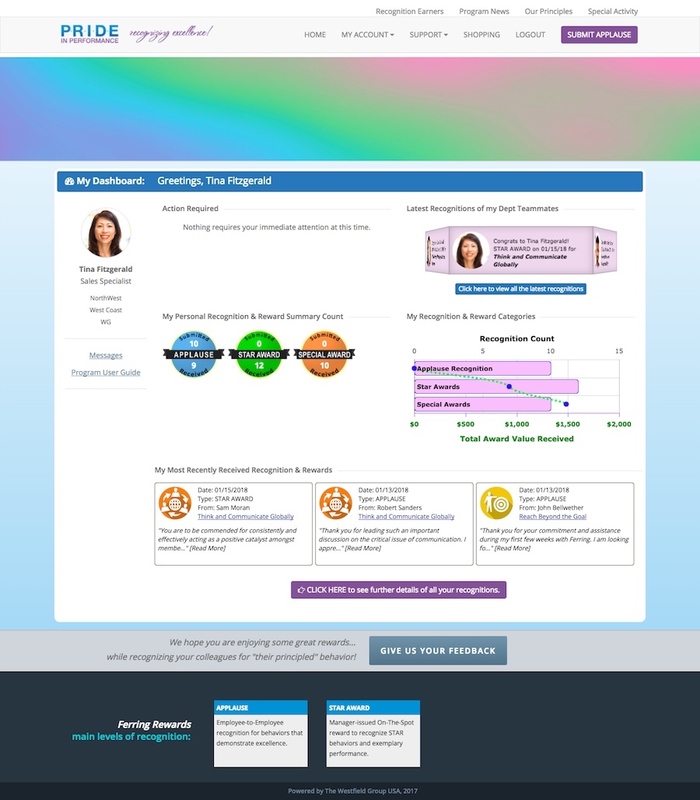 This system has multi-level security for Employee login, and Manager Login. 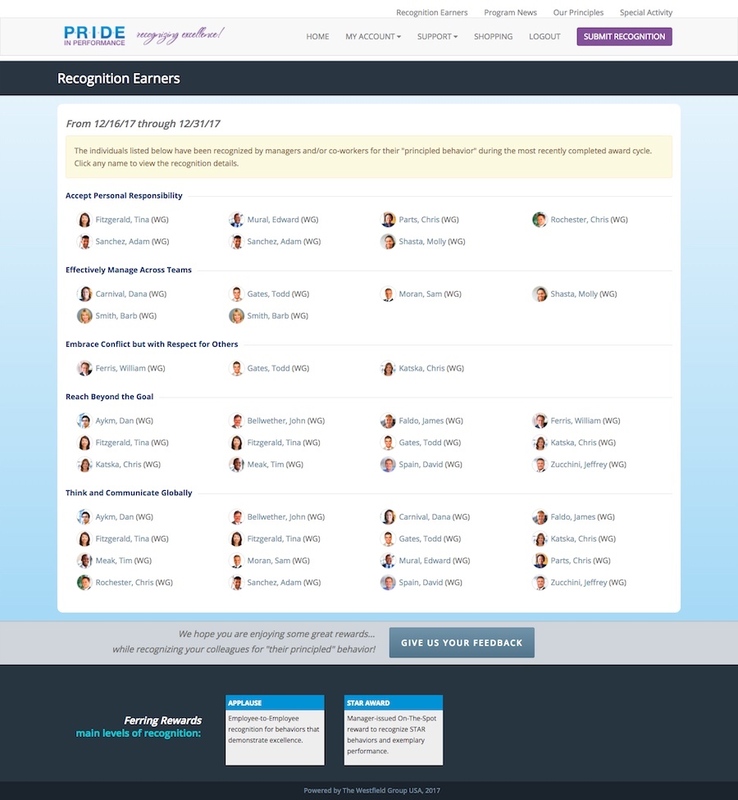 Managers will have access to reporting functions as well as Star Award submissions.